Mothers Day Promotion Friday May 6th in Downtown Paxton. Another wonderful event sponsored by P.R.I.D.E. in Paxton. IGA Cookout Usual Time and Usual place. This week is Butterfly Pork Chops and the proceeds go to help the Melvin Library. Mothers Day Lunch on Sunday, May 8th, 11am-1pm. Reservations are required. You can call 217-379-0693 for reservations and info. Treat Mom to a special day with a nice lunch and don’t forget the Flowers. Gifts For Mom; If you’re looking for something special for Mom, There are lots of great places to shop right here in Paxton, Il. 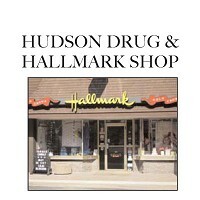 A Picket fence Florist, Website here, Hudson Drug & Hallmark store, website here Flower Cart 201 State St 217 379-9245. To name but a few. Support your community, Please shop local. City Council Meeting is Monday night May 9th from 7-9pm at City Hall. Meetings are open to the public. Everyone is always welcome. Support your community, get involved your voice does matter. Ford County Board Meeting Monday May 9th 7-9pm at The Jail Facility at 235 N. American St in Paxton.